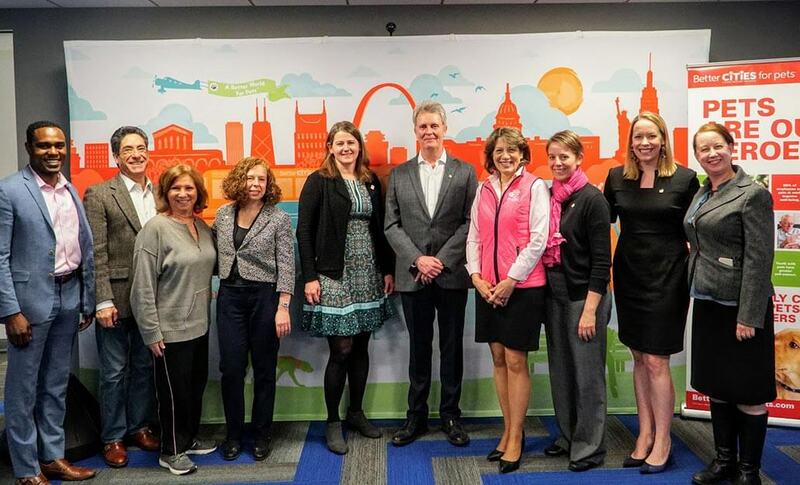 FRANKLIN, Tenn., Jan. 24, 2019 / — Today, Mars Petcare is taking its commitment to creating a more pet-friendly world to new heights by announcing the “BETTER CITY FOR PETS” certification. The national certification is an extension of the Mars Petcare BETTER CITIES FOR PETS™ program, which works with local government, businesses and non-profits to help communities make our four-legged friends welcome, so everyone can enjoy the benefits of a life with cats and dogs. The Mars Petcare ‘BETTER CITY FOR PETS’ certification will celebrate cities that recognize the importance of pets and have made progress toward becoming more pet-friendly. 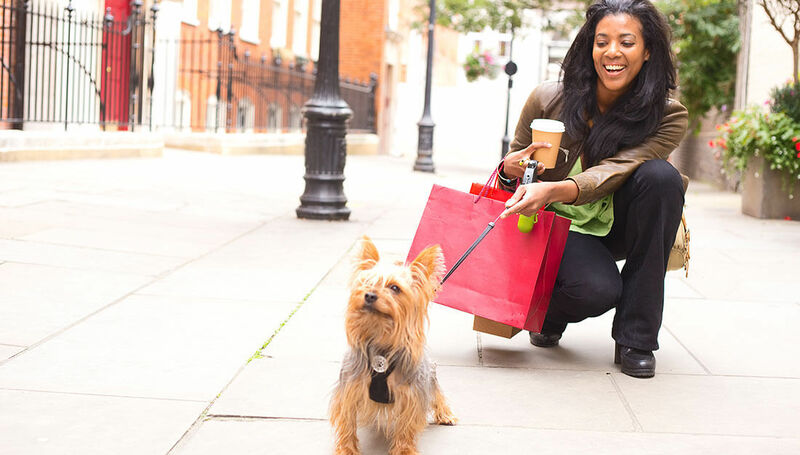 Launched in 2017, the Mars Petcare BETTER CITIES FOR PETS program is rooted in insights and data that pets make individuals and communities better – from helping people live healthier lives to encouraging social connections. Since its inaugural year, the program has impacted more than 100 cities, providing $100,000 in grants and $1 million in pet food donations, as well as resources and city-specific guidance to help more communities become pet-friendly. 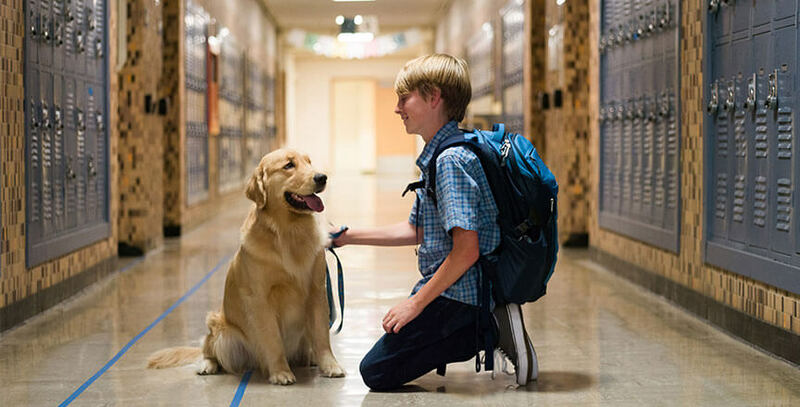 Through the BETTER CITIES FOR PETS program, Mars Petcare has taken on an active role in positively impacting legislation and supporting policy change to make communities pet friendly. The introduction of the Mars Petcare “BETTER CITY FOR PETS” certification is just in time for the 87th U.S. Conference of Mayors (USCM) Winter Meeting, taking place this week in Washington, D.C. At the conference, Mars Petcare will meet with key government officials to introduce this new opportunity for their cities to be nationally recognized as pet-friendly. The certification, created in partnership with urban-planning organization, Nashville Civic Design Center, evaluates cities based on 12 traits of pet-friendly cities across four categories: businesses, parks, shelters and homes. City officials may apply for the certification online at BetterCitiesforPets.com, showcasing their commitment to creating a pet-friendly community and fostering the well-being of all two- and four-legged citizens. Cities that meet the criteria will receive the “BETTER CITY FOR PETS” certification, along with a toolkit of assets and resources that can be used to spread the news to their community. In addition, all “BETTER CITY FOR PETS” certified cities will be recognized on the BETTER CITIES FOR PETS website so that community members can easily identify pet-friendly locations to live and visit. All applicants will receive ongoing tips and recommendations from Mars Petcare, highlighting solutions and areas to continue to progress their pet friendly efforts. Citizens looking to make their community more pet-friendly can also visit BetterCitiesforPets.com, where they’ll find a variety of resources outlining the importance of a pet-friendly community and how they can support their local government. In 2018, the Mars Petcare BETTER CITIES FOR PETS program and USCM partnered to give $100,000 in grants. As grant recipients, the cities of Richmond and Hallandale Beach were able to quickly make an impact through therapy, training and educational programs. To build on the success of the 2018 grant program and increase the number of pet-friendly cities in America, Mars Petcare and USCM have issued a call for 2019 grant entries. Cities seeking grants must demonstrate a commitment to existing and future pet-friendly community efforts. Applications will be submitted to an independent panel of judges who will determine which cities will be awarded grants. All cities applying for the “BETTER CITY FOR PETS” certification will also be prompted to apply for a grant, if they choose to do so, at the completion of their application. Grant applications are due March 8 and the grant recipients will be announced this summer during USCM’s 87th Annual Meeting starting June 28. To learn more about the 2019 grant applications visit: www.usmayors.org/pets. For more information on the “BETTER CITY FOR PETS” certification or the BETTER CITIES FOR PETS program, please visit BetterCitiesForPets.com. The BETTER CITIES FOR PETS™ program was created by Mars Petcare US, the world’s leading pet nutrition and health care business, to help communities become more pet-friendly by bringing the voice of pets and their owners to places of influence and advocating for fewer pets in shelters, more pet-friendly places, and happier, healthier lives for both people and pets. Mars Petcare works with key partners, businesses and local governments to better understand how to improve communities by: providing safe and welcoming shelters that lead to forever homes; encouraging pet-friendly, responsible homes for pets; welcoming more pets into local businesses, and giving pets plenty of park space to play. For more information about Mars Petcare and the BETTER CITIES FOR PETS™ program, visit BetterCitiesForPets.com. Mars Petcare US is the U.S. operations of the world’s largest petcare company at the privately-held Mars, Incorporated. Mars Petcare US produces some of the world’s most beloved pet care brands, including PEDIGREE® Food and Treats for Dogs, CESAR® Canine Cuisine, IAMS™ Pet Food, SHEBA® Entrees for Cats, WHISKAS® Food for Cats, GREENIES™ Dental Chews and PILL POCKETS™ Treats, NUTRO™ Pet Food, EUKANUBA™ Pet Food and TEMPTATIONS™ Treats for Cats, as well as exclusive brands products for some of the leading retailers in the U.S. Headquartered in Franklin, Tenn., more than 3,700 Mars Petcare US associates make, sell and distribute its high-quality pet food from 20 manufacturing facilities located in communities across the U.S. For more information, please visit www.mars.com. The U.S. Conference of Mayors is the official nonpartisan organization of cities with populations of 30,000 or more. There are nearly 1,400 such cities in the country today, and each city is represented in the Conference by its chief elected official, the mayor. Like us on Facebook at facebook.com/usmayors, or follow us on Twitter at twitter.com/usmayors.